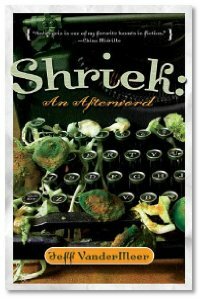 We talk with Jeff VanderMeer about his book Shriek: An Afterword. A twisted, dark and gritty story about a city-state called Ambergris. We also talk about many of Jeff's other works and Mike's favorite bathroom book. Tune in and check it out. - The Dabel Brothers and Crazee Comics get the spotlight. - David Moldawer gives us a review of The Ghost Brigades. - And we finish off the show with a couple voicemails. How cool about the movie. I love the Church, too. They're last album (2004?) was really cool. Fascinating, this has opened up a whole new thread to explore. Can't wait to visit these new places. Great interview, you guys really got JV to open up and give some insight into his work and his worlds. By the way, they're = there. Um, yeah. Go me. I do agree with the Karen. It was definitely an insightful interview.